Our Labor Warranty is the required 10 years. 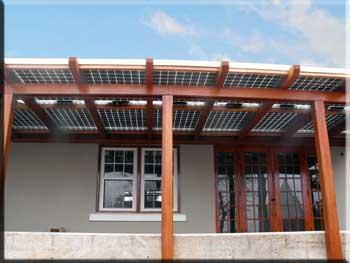 All panels have a production warranty of 25 years and workmanship warranties vary per manufacturer. 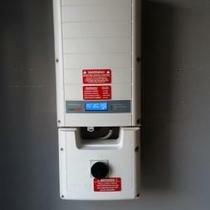 The Enphase Inverter has a total 25 year warranty. Perfection in a clean installation with no conduit or wires running over the roof with 27 years experience that makes your design the most productive for your situation. We are now using Enphase Microinverters as they have proved more reliable than other types/brands and carry a 25 year guarantee. With the new 30% solar panel tariff, all countries outside of the United States are effected. We are already hearing of 10-15 cent per watt increases. There are a few pre tariff panels still out there and we give you a 30 day limit on our proposal for this reason, it is because we have those to offer, but they may not even be available that long. 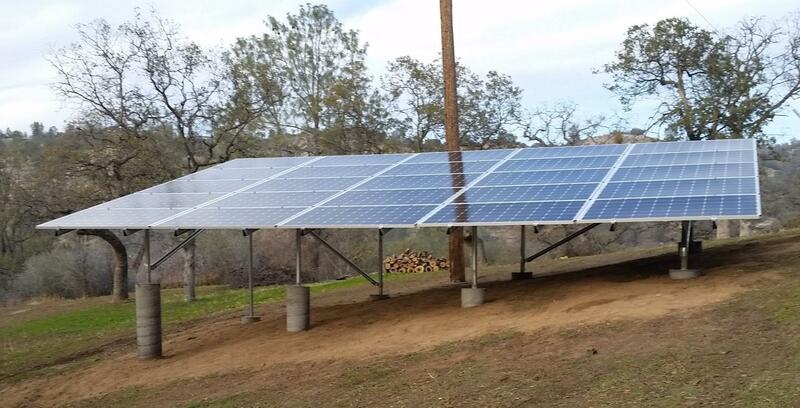 Right now we know the prices for sure on QCell 310's duo's with an excellent efficiency rating (60 cell)and US made Mission Solar 340 panels (72 Cell). We still have enough LG 395's reserved for 1 or 2 large systems. Please Be Patient as we all traverse the Pre Tariff to Tariff price craziness. Most Tariff panels are expected in during late March through April. We keep a bi-weekly check on availability from 5 distributors. The only way to get an accurate proposal is to acquire your actual usage through an PG&E approved 3rd party vendor, Utility API. If you have been in your house for almost a year or more, this is possible. Also, we do a Helioscope of your home initially to determine if the system will fit. We must adhere to certain laws required for fireman access on your roof. We also use Helioscope for shading issues but that can be difficult in some cases and requires an onsite review. If no shading and we have your Utility API, we can give you an accurate proposal as possible including estimated True Up Bill amounts. 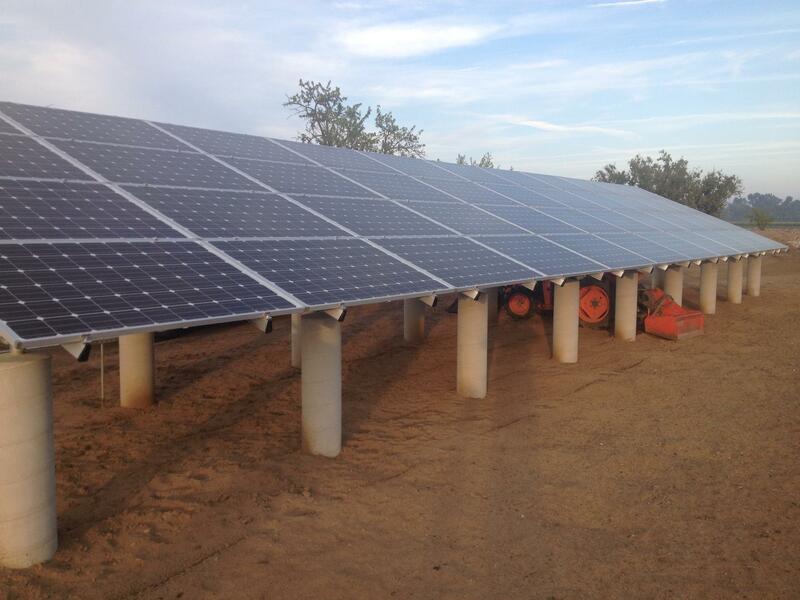 We provide solar within a 60 mile radius of the center of Fresno. 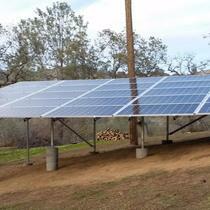 providing solar to Agriculture, Commercial & Residential customers. We leave you a clean work site and no trash to go in your garbage. We also bring our own porta-potty. We are a Christian family run company. President Terry Shelton is the head of the family and is a 3rd generation master electrician and craftsman. He is passionate about solar being clean and correct. He does all the design and oversees all installations. Wife Brandi handles the sales and marketing without any salespersons because commissions raise prices. We prefer to work on the referral system where customers get a 3% referral fee, because they will tell the truth about their experience. Three sons are involved in the business pitching in on installs as needed and the middle son doing the drawings for permits. 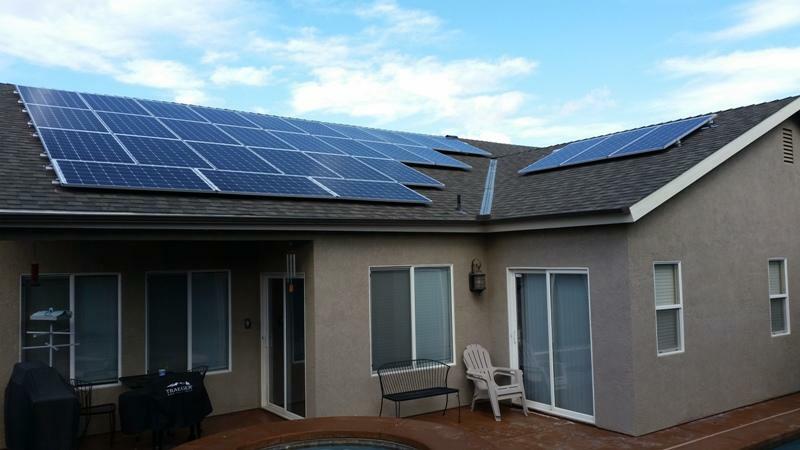 We work very hard to correctly size your system so your true up at the end of your solar year is close to zero.  WE NEED Your Email if you want an accurately sized system so Utility API can send you a email requesting permission to get the usage information for us. Remember, this is all done by computer and humans have no control on the sizing except to add panels and inverter to be used. IF this is not done, you could have a huge amount due at the end of your 1st solar year or you could have too much solar. Too much solar only gets you 3-5 cents per kWh in credits. On 7/25/2017, an article came out from Greentech (A online solar research magazine covering solar developments.) IT SAID most CA. installers were guessing on sizing rather then spend the money involved to buy sizing programs and paying to get usage. That is why we are doing it right. We believe in the adage Test don't Guess. 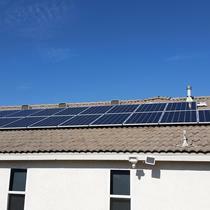 We have been installing solar since 1991. Not only do we have experience,(we get compliments from inspectors on clean installs.) we go the extra mile to assist our customers. We strongly believe in customer satisfaction being gained through following the Golden Rule. So if you want a beautiful install and a great experience, call us. We answer all your questions, don't hesitate to ask. We are also Energy Efficiency Experts and advise how customers can save more. 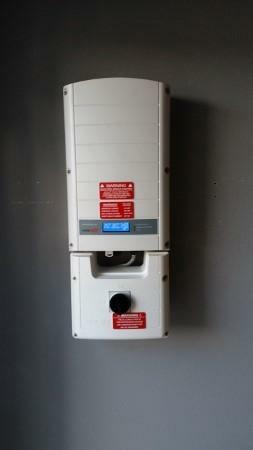 You will notice on our EnergySage Installers Page that our license number is 549059. The lower the license number, the earlier the license. (Solar is a passion with us.) This number is require on all sales literature and the final letter on your initial proposal by the Contractor's State License Board. Solar & a Tractor Cover! "Everything I wanted to know!" They were extremely patient with me. Explained everything in detail and in words I could understand. They were not afraid to put it all in writing and to show me where the numbers came from. The installation was so fast and smooth we hardly knew they were working. So professional! 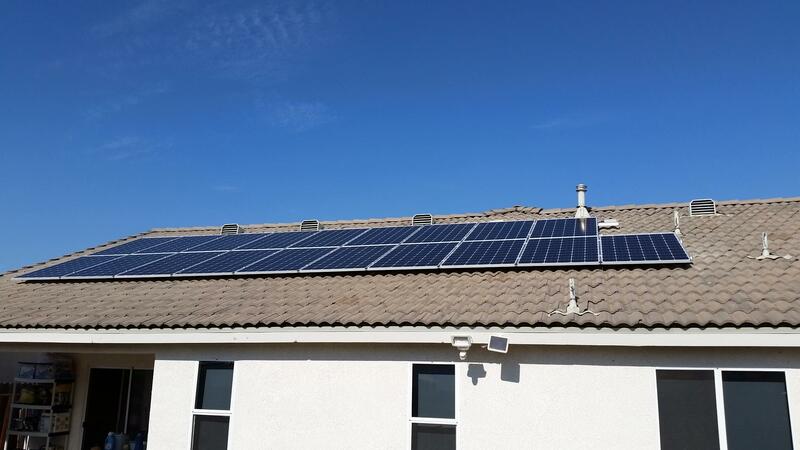 "Roof Mount Solar - Excellent Installation"
I would highly recommend SolarPlus Systems for any solar installation. They were neat, quick, honest and provided some of the best craftsmanship I have seen. Materials were brought in and placed exactly where I wanted them stored (only for a few days). They cleaned up the entire work area at the end of each day, so we hardly noticed they were working. They went above and beyond the call of duty on our project. It looks great. Thank you Terry and Brandi. Terri and Brandi completed the work for us. They were honest, informative, and educational. The job completed was awesome. 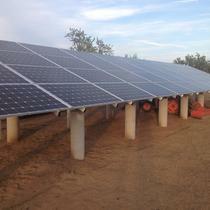 SolarPlus installed a ground array for my home in Prather. Before deciding what size of array we needed, they came in and did an entire house inspection to see what our needs would be. Their goal was to build an array that would keep is in PG#E's Tier 1, keeping our horrible electric bills at a minimum. Our house is @2400 square feet and all electric, with an average summer bill of $500.00. OUCH!!! This year, we are paying anywhere from $0.00 to $50.00. How great is that!!! The array is perfect. I can't say enough good things about Brandi and Terry, the owners of this company. Not only was their price the absolute best that I received, but their service was above expectation. I so highly recommend them. Please give them a try. They are honest, hard working, experts in this field, and priced below all the big companies. Terry even monitors my system from home to make sure it is working to his standards. They are the absolute best!! 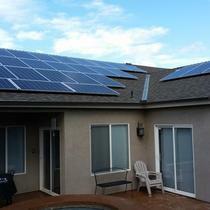 "You wont Regret it - SolarPlus"
Brandi at Solar Plus was very patient and easy to work with. She explained everything thoroughly and was never pressuring for us to by solar at all. She was easy to talk to and returned calls promptly. Her and her team were fast installers to. They came in 7am and were done sometime after noon. 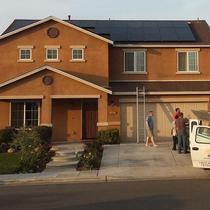 There were neighbors who chose Solar City who we saw took several days to complete an install. One unique thing about SolarPlus, they didn't run any wires on the roof like many solar companies. They ran the wires through the attic which made for a clean install on my roof. We got many compliments on that. We are able to monitor our panels via the android app or on the web which is awesome. 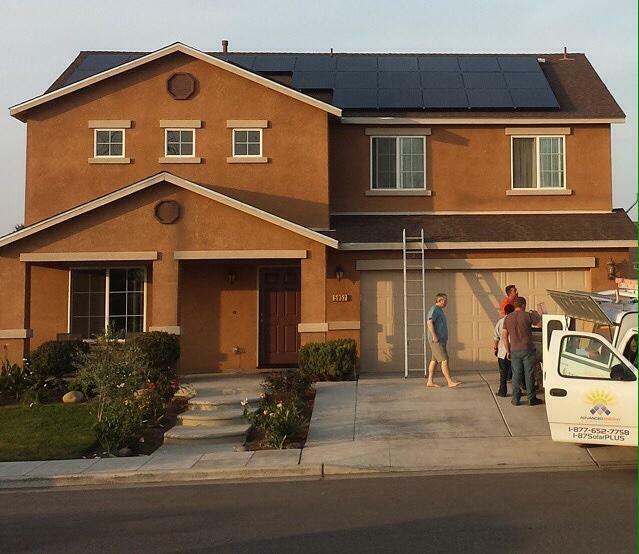 Overall we are 100% satisfied with SolarPlus and would not hesitate to recommend them over other solar companies. Just some advice, if you can, purchase the panels and don't lease. Leasing in the long run can cost you more. There is a federal incentive and other programs outthere that can assist you. 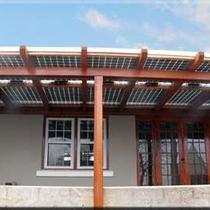 Do your homework and have SolarPlus do the install.